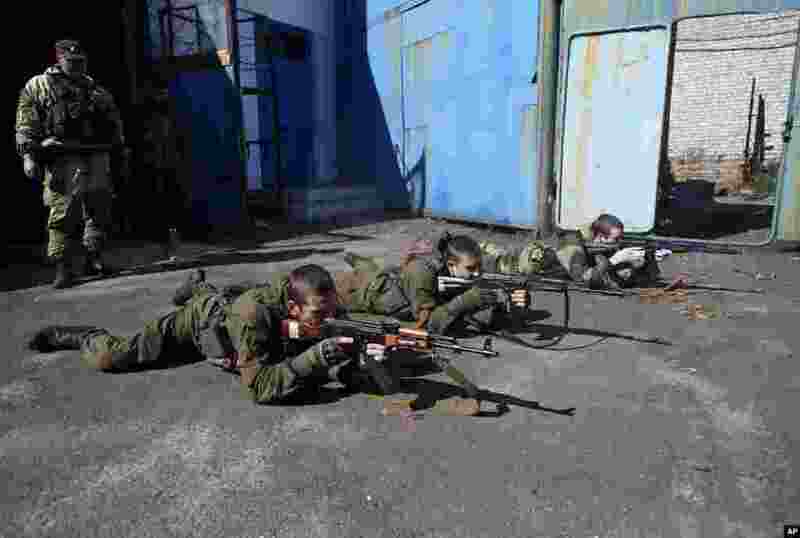 1 Young pro-Russian rebels train in the city of Donetsk, eastern Ukraine, Sept. 29, 2014. 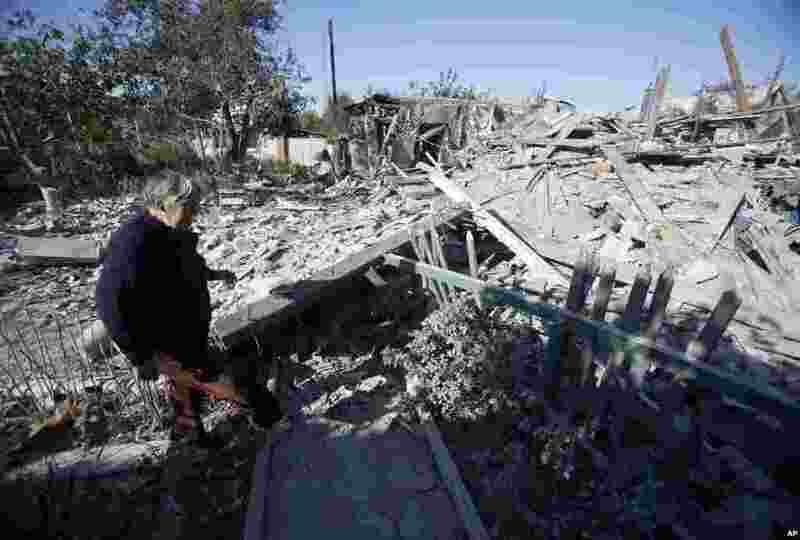 2 A woman checks damage at a destroyed home after shelling in the city of Donetsk, eastern Ukraine, Sept. 29, 2014. 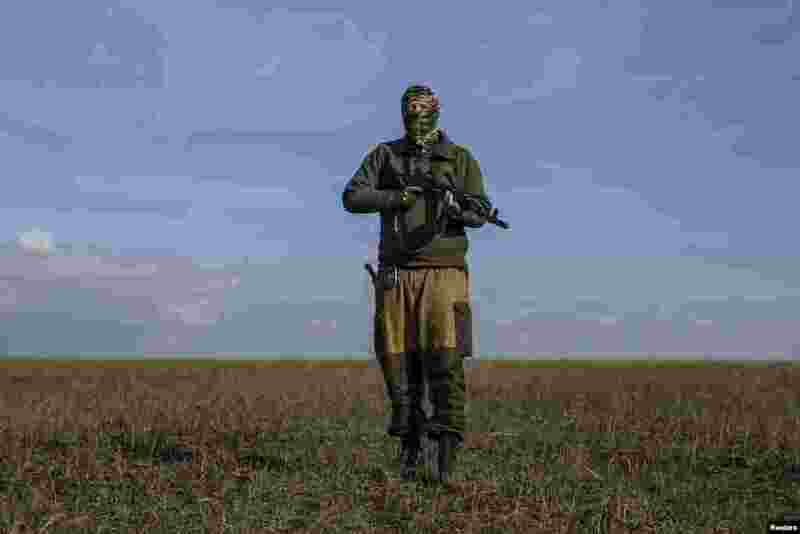 3 A pro-Russian rebel fighter who calls himself "Hunter," purportedly an American from the state of Illinois, walks through a field near the town of Yasynuvata, in eastern Ukraine, Sept. 26, 2014. 4 Pro-Russian POWs wait to be exchanged, north of Donetsk, eastern Ukraine, Sept. 28, 2014.